A recent flood of research scholarship on electronic transport in low-dimensional (2D or 1D) materials like graphene or carbon nanotubes reflects the tremendous potential of these materials to unveil a deeper understanding of the laws that govern the sometimes surprising emergent behavior of electrons. Scientists have probed novel materials like these to uncover the physics of topological superconductivity and topological insulators. But one of the biggest challenges researchers face in studying real materials is the presence of uncontrolled impurities that influence electronic transport. One way to get around this dirty issue of disorder is to study the same types of physical phenomena in artificial materials that have no natural imperfections. 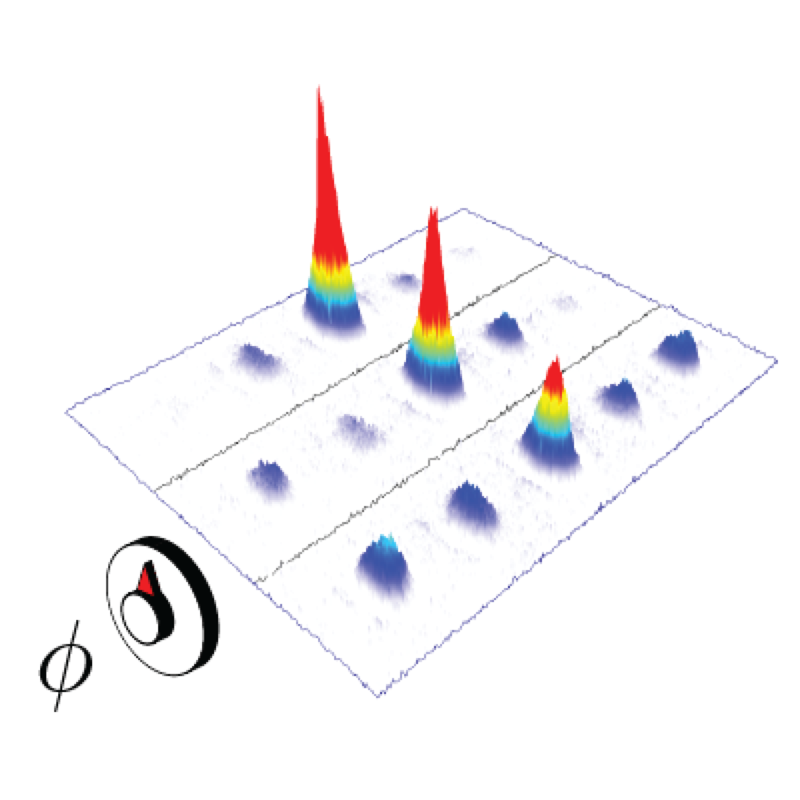 In recent decades, researchers have used neutral atoms moving in pristine crystals formed by laser light to perform quantum simulations to observe physical effects that would be hard to see in real electronic materials. Now scientists at the University of Illinois at Urbana-Champaign using an innovative quantum simulation technique have made one of the first observations of a mobility edge in a low-dimensional system. 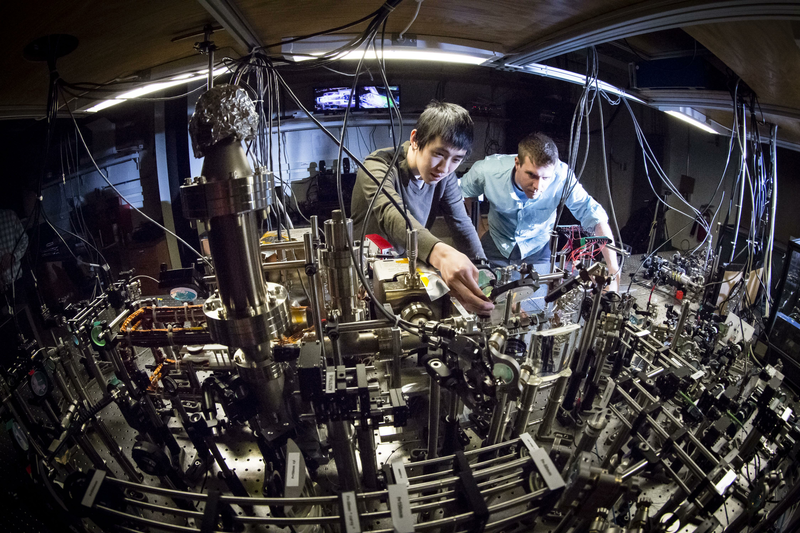 Physics professor Bryce Gadway and graduate student Fangzhao Alex An were able to combine a disordered virtual material—in this case a pair of coupled 1D chains—with artificial magnetic fields to explore this phenomenon. So what exactly is a mobility edge? It’s an energy-dependent insulator-to-conductor transition that occurs in disordered systems—a regime of metallic transport that arises out of a special kind of insulator, called an Anderson insulator. Only two groups have ever observed a mobility edge in 3D, and the first was U of I physics professor Brian DeMarco’s research group in 2011. Importantly, the phenomenon is induced by disorder, and according to the laws of localization physics, a mobility edge, let alone any kind of metallic behavior, should not occur in 2D or 1D materials. In this research, the scientists also showed evidence for an even more intriguing kind of mobility edge that occurred in the absence of the artificial magnetic fields. This second type of mobility edge came about due to atom-atom interactions, which caused the higher-energy states to behave more strongly like a metal and the lower-energy states to behave more strongly like an insulator. These results, published August 18, 2018, in Physical Review X, open up new directions in research. This research was supported by the National Science Foundation. The findings are those of the researchers and not necessarily those of the funding agency.